Sonny Keakealani, one of the most respected cowboys in the community and patriarch of the Keakealani family, is photographed in his saddle and tack shed at his house in Waimea, HI. 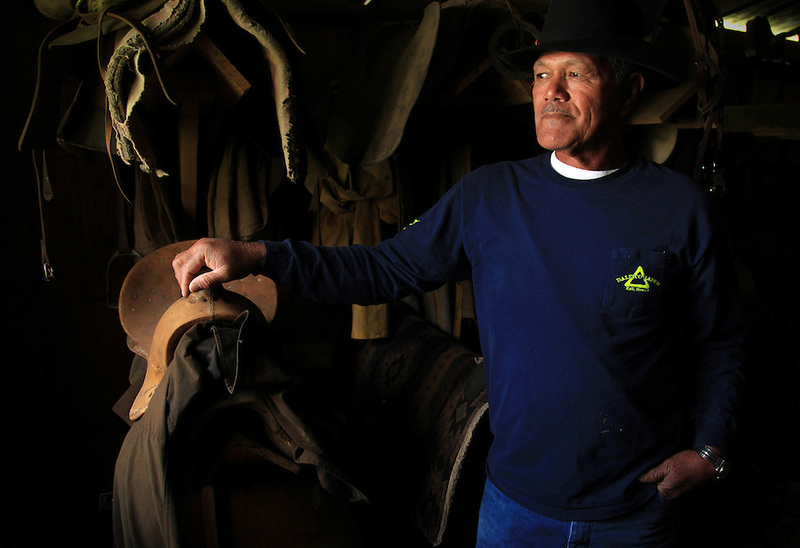 Sonny has mentored many younger cowboys over the years and while now offiially retired from Parker Ranch, still works a few days a week for a ranch and is often called on by old friends and ranch owners to help out with branding, weaning and moving cattle. "We loved the lifestyle. Money didn't mean nothing. We just enjoyed going out. Even if you got wet, you got scolded, that was part of our love, our life!" says Keakealani reflecting back on his years working at Parker Ranch.